Since 1980, we have been your main source for DJ, karaoke, and special events. We are now proud to offer you our excellent comedy hypnosis show as well. As a certified hypnotist, I have been helping people with their personal issues and problems. Due to the demand for my entertainment shows, we are producing our funny and professional comedy shows. I always keep a high energy level, and never apply sad or depressing skits, or situations. I promise a fantastic time for all that attend. If you are ready to laugh until you cry, book us now. Our rates are the best in the area, and we can even add a DJ, or karaoke to keep the party going. We have that special DJ, or comedy show for your special event, no matter what it is. We handle everything from the biggest weddings to a small private party. Mikes Music of Florida, is licensed and insured, and has the most music in the area. Our prices are low, but our quality is high. Please contact our office to discuss your needs today. All our terms are listed in the pre show contract, and are very simple. You agree to sell the event tickets at a pre set price,and share a percentage of said sales with us. We agree to supply everything needed for a professional comedy hypnosis shows. Everything this is expected from both parties will be outlined in our simple contract. This package is for a group or business, with their own venue for our show. Special Features: We can tailor our shows to suit your needs. 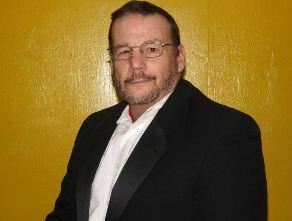 I can perform special events that deal with your venue, business, holiday, or special event. All our shows are "G" rated and family friendly. We can also provide DJ music during dinner, or prior to the show.